Rouses is a statewide supermarket chain that has three locations in New Orleans. 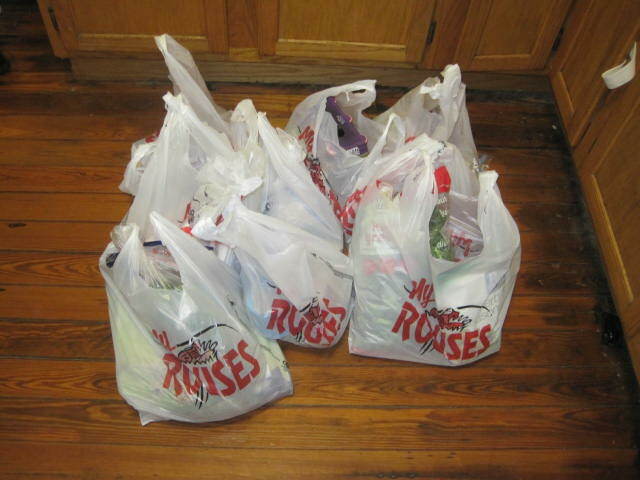 Although Rouses is a vast improvement over the awful Sav-A-Center grocery stores that they bought out, my major quip with the Rouses is that the cashiers and bag boys/girls use an outrageous amount of plastic bags when they bag groceries. 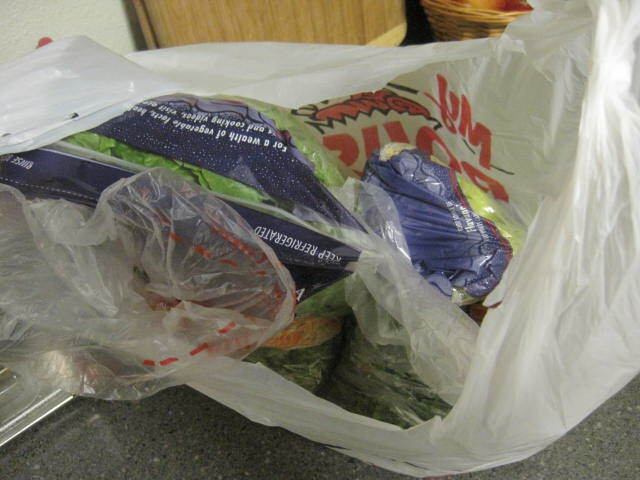 A common practice is to place one or two items per bag, so that if you buy six items you have nearly as many bags. Additionally, cashiers don’t seem to notice when I bring a canvas bag. It always feels obnoxious to repeat, “Excuse me, I’m sorry… I brought a bag.” This happens at every single location I’ve been to, even outside of Orleans Parish. It’s upsetting. 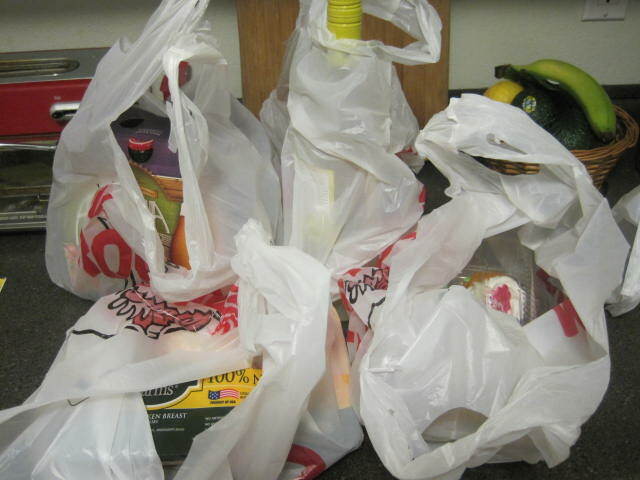 In January 2010 Washington D.C. implemented a 5 cent tax on all plastic bags. Although it’s only 5 cents, I shook my fist in anger when I got caught with the fee. I never wanted to pay it! 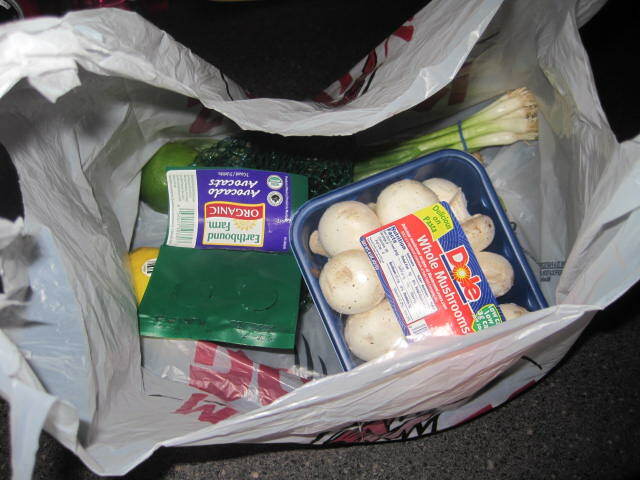 The tax has also made DC merchants a lot more sensitive to how they bag your groceries. It’d be a long time before Louisiana passed a progressive environmental law, but this blog post is my 5 cents of advocacy and publicity. 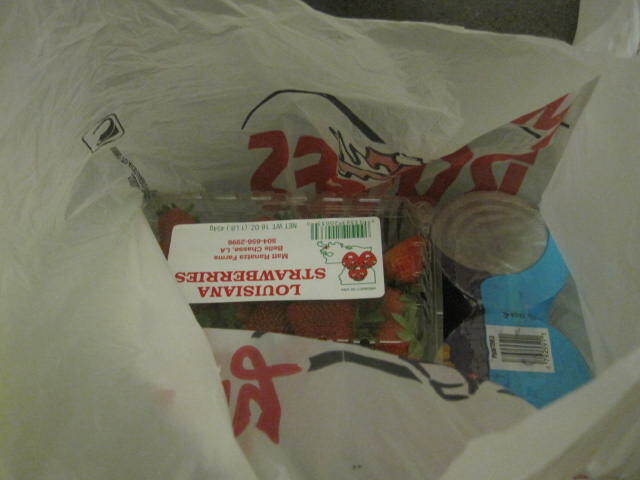 Last week I made a trip to the Rouses and purposefully didn’t bring any bags. Once at home, I took photos of my all the bags used. I purchased 27 items and was given 10 bags. This bag has room for more items. There is clearly more room in this bag. 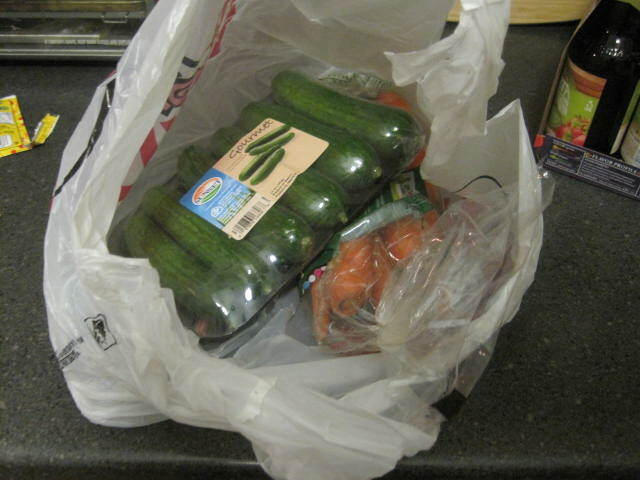 Perhaps it could’ve been combined with the bags of vegetables. There are only two items here! Unacceptable! This bag has two items. As you can see, there is room for more. 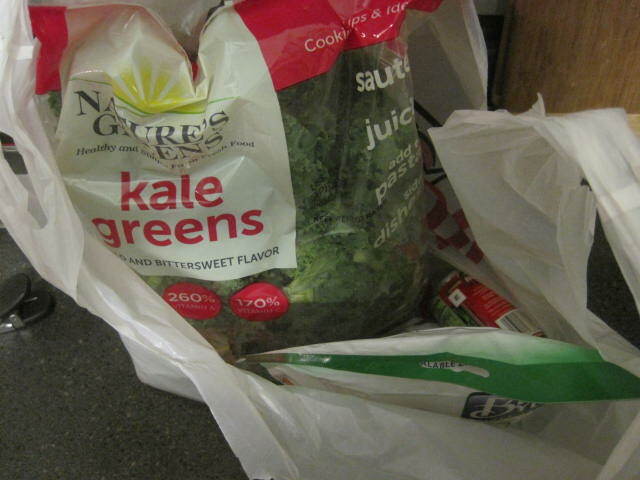 I believe these groceries are the only ones properly bagged from the shopping trip. Again, two items with room for more. 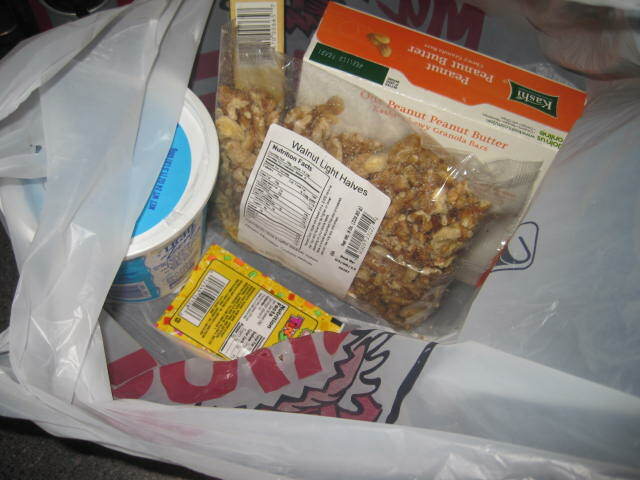 If I acquiesce the four items given individual bags, than Rouses used six bags for 23 items. I believe the cashiers could’ve consolidated, what do you think? And have you had this same experience at Rouses? I’m going to send this post to someone at Rouses, in hopes this will draw attention to their irresponsible bagging practices.